Beckett Asset Management (BAM) is a discretionary fund manager that manages the investment of clients' assets; the client authorises BAM to make changes to their portfolio from time to time to ensure it adheres to the client's strategic objectives. With around £500m under management, BAM is one of the leading discretionary fund managers of its type in the UK and manages investments on behalf of: Private individuals; Pension Funds; Trusts; and Charities. 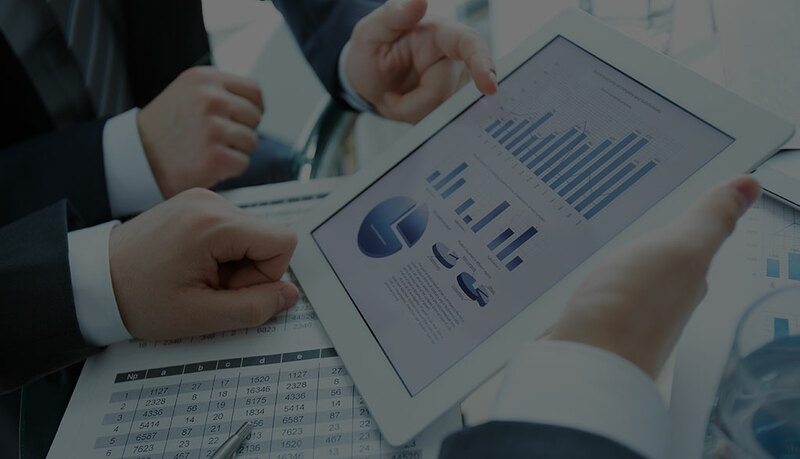 We offer six investment portfolios in order to accommodate varying levels of risk and investment objectives. This strategy seeks to achieve a return in excess of inflation over a 3 year rolling time horizon, using the UK Consumer Price Index (CPI) plus 2% as its benchmark, and with lower volatility than Global Equities over the medium to long-term (5 years plus). This strategy seeks to achieve an investment income as well as longer-term capital growth, from investing in a range of assets and geographies using a fund of funds approach. Investors should be prepared to accept a moderate level of portfolio volatility. This strategy seeks to deliver long term returns from investing in a blend of assets and geographies, using a fund of funds approach. Investors should be prepared to accept a medium level of portfolio volatility. This strategy seeks to achieve long-term capital growth, using a fund of funds approach. The strategy is primarily stock market based, invested across the globe and investors should be prepared to accept a medium to high level of portfolio volatility. This strategy seeks to deliver long term returns from investing in a blend of assets and geographies, using a fund of funds approach which have an Ethical or Sustainable mandate. Investors should be prepared to accept a moderate level of portfolio volatility, and investors should be aware that the investment universe is narrowed when compared to a standard portfolio. There may also be limited ability to take positions in certain regions or asset classes, eg Absolute Return. This strategy seeks to achieve long-term capital growth, using a fund of funds approach. The strategy is primarily stock market based with allocations which are concentrated on sectors, themes, regions and parts of the market that the investment team feel present the best opportunities to generate attractive long-term returns. Investors should be prepared to accept a high level of portfolio volatility due to the equity, thematic and concentrated nature of the portfolio. 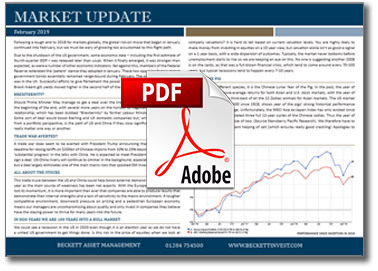 You can download a PDF version of the latest news from Beckett Asset Management which provides a commentary on investment conditions and an overview of the performance of our Portfolios.